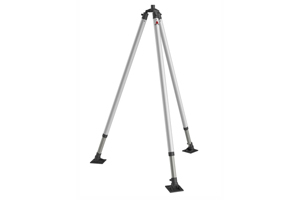 Description This SJ 500/202-A rescue tripod is made of frame body, winch, pulley and ring protection chain and is mainly designed for the rescue work in high altitude, cliff and confined space such as underground pipe, shaft, cesspit, closed container etc. This tool has been widely used by the firefighting department, municipal administration and mining sector. 1. Due to the fact that this tool is made of special aluminum alloy, this tool has high strength and its factor strength is bigger than 10. 2. There is ring protection chain amounted on the feet. 3. The self-lock device on the winch can lock in any position, which ensures the safety of the suspension. 4. 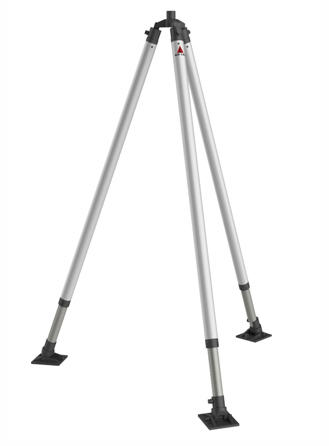 This rescue tripod adopts special stainless steel sling with good suppleness which will not be damaged by rust corrosion or lack of lubricating oil. 5. The length of its legs can be adjusted according to the rugged rescue situations.